It takes a lot of work to maintain this site and keep you abreast of the latest news. Your support, whether through advertising, sponsorships or personal donations, allows us to keep this site up and focus on reporting the bike stories that matters to you. 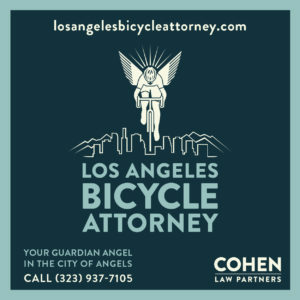 For ad rates, questions or sponsorship information, email ads @ bikinginla dot com. 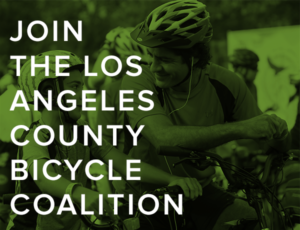 If you’d like to help support BikinginLA, you can click here to donate through PayPal. 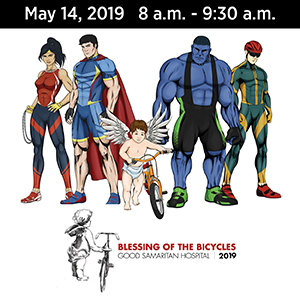 Or donate using the Zelle app on your phone by sending your payment to ted @ bikinginla dot com. Thanks to to everyone who has contributed to this site for your generous donations. Without your support, we wouldn’t be able to do what we do. Is their an update on the appearance (in the downtown Los Angeles County Municipal Court on Jan. 16, 2014) of Mohammed Kadri who killed James Rapley on Temescal Canyon Rd last month? Is he in jail? When is the trial? I don’t have any details on the hearing that took place on the 16th. However, initial court dates seldom result in any action, and any trial date is still a long way off. 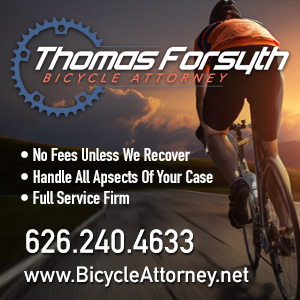 FYI…in San Antonio a dad was shot by a passing motorist while teaching his kid to ride a bike. This happened sat maybe. Thank you for bringing this to my attention. It is the policy of this site to allow comments as long as they don’t contain personal attacks or unfairly criticize the dead, who are unable to defend themselves. The comment you’re referring to clearly crossed that line, and I should have removed it as soon as I saw it. I apologize for that, and for any pain it may have caused. I am very sorry for your loss, and hope your father will be at peace. I also hope that you all may find comfort and peace, and treasure your memories of him. Fantastic site. Informative, up to date and constantly active. Great info! Keep up the good work!! A man was killed last night, 9/25/17 at about 530pm just as the sun was doing it’s usual blinding thing setting in the west on the east/west lincoln ave in orange, calif. Alex was I think headed south on Palm in the neighborhood just north of lincoln when he lost his brakes and went down the hill into the oncoming traffic on lincoln where a prius hit him I think as i saw the windshield smashed in. As i drove by the paramedics where already doing chest compressions on Alex so i knew it was bad. Lincoln ave was closed until 9pm so the investigators could do their work. There is a small shrine to Alex’s memory at the corner of palm and lincoln.